TPC Jasna Polana is a world-wide known golf course based right in the heart of Princeton, New Jersey. Available on site is their breathtaking reception room. Jasna Polana Weddings have a very unique feel to them. Although the New Jersey venue was built back in the early 70's, the wedding venue has a very elegant, but modern feel. Upon entry to the compound you pull through the gates and proceed down a quarter mile long driveway. Once arriving at the estate you pull through the second set of gates into the main courtyard of the country club. In this image featured, there is a pond in back known as the "reflection pond". 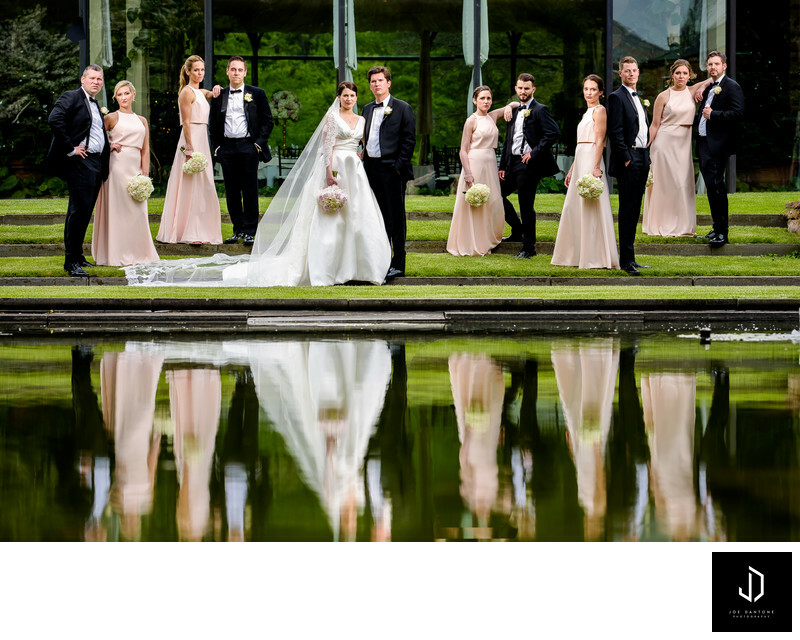 I decided to take the bridal party to this pond to get a unique photo of everyone together. At Jasna Polana you have a limitless amount of locations to take some incredible wedding pictures. From secret gardens, over-looks, courtyards, and a breathtaking interior. 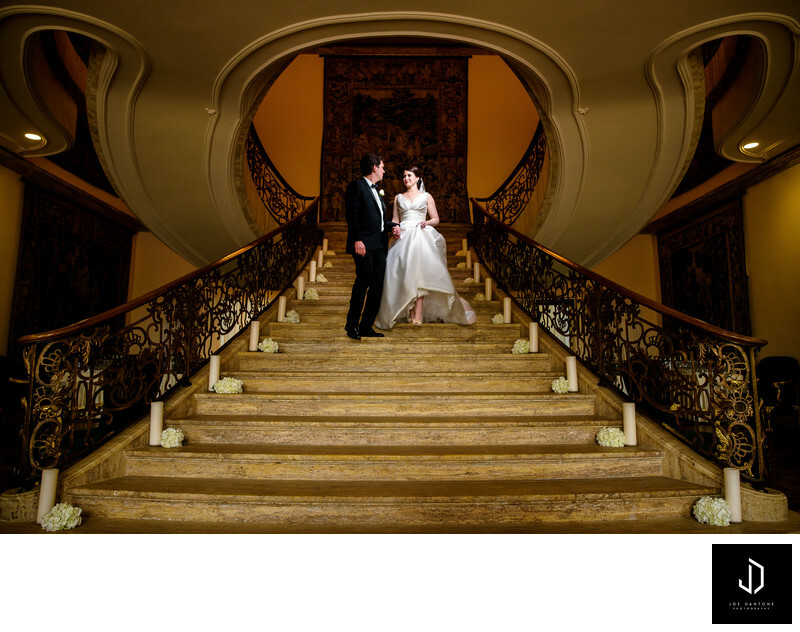 One of my favorite spots to photograph in Jasna Polana is the sweeping staircase, and front lobby as featured below. The character of the Jasna Polana creates not just an incredible experience for the bride and groom, but also has that wow factor to sweep your guests off of their feet the second they lay eyes on this New Jersey Wedding Venue.